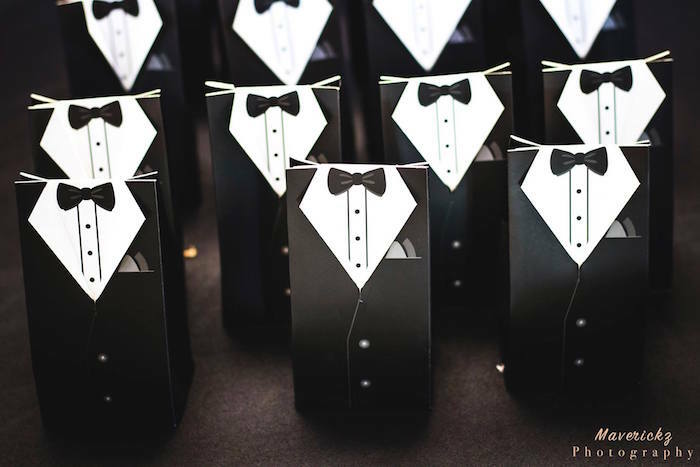 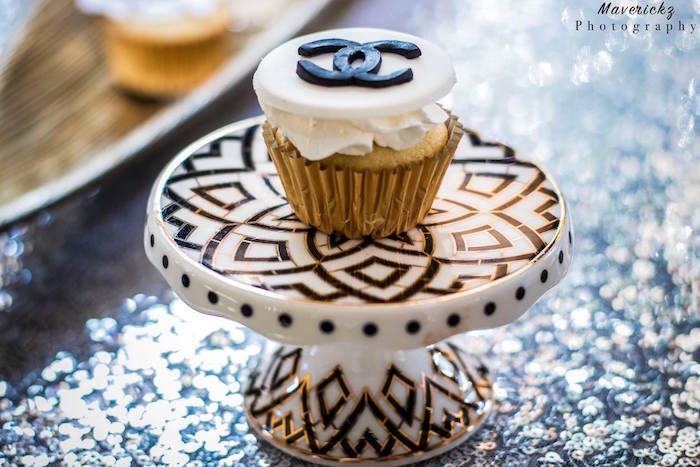 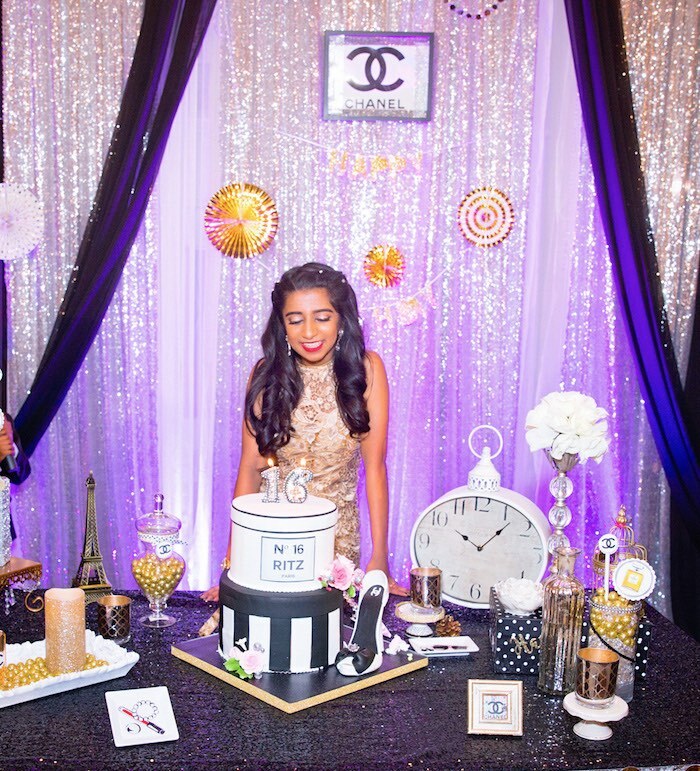 Bask in the beauty and take on the scene, this Glamorous Chanel No 16 Birthday Party by AppeningZ Event, is an absolute dream! 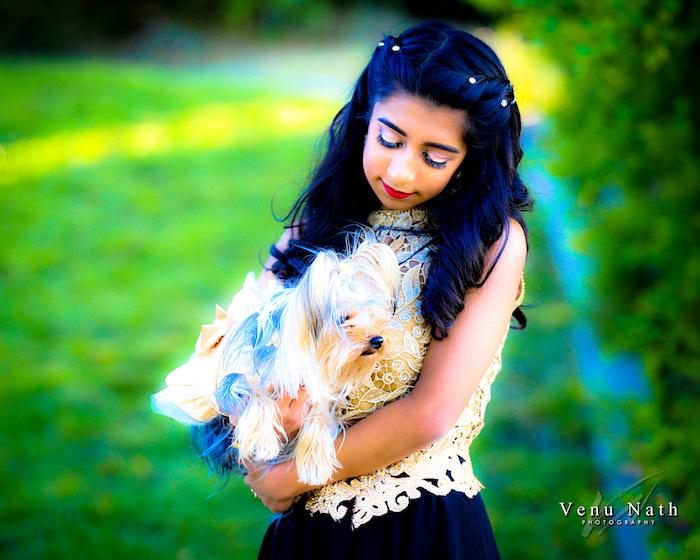 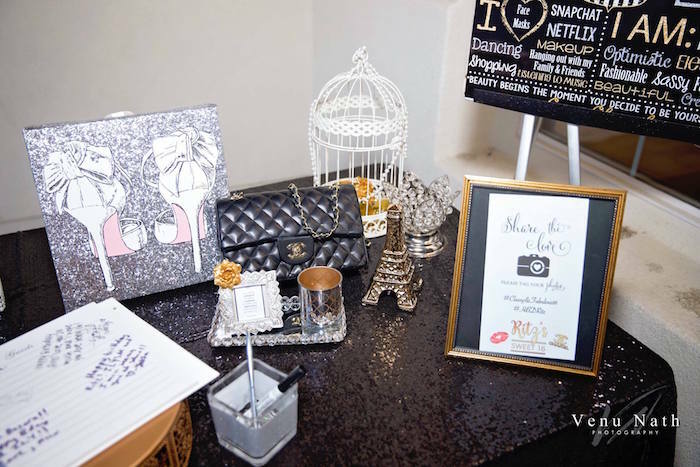 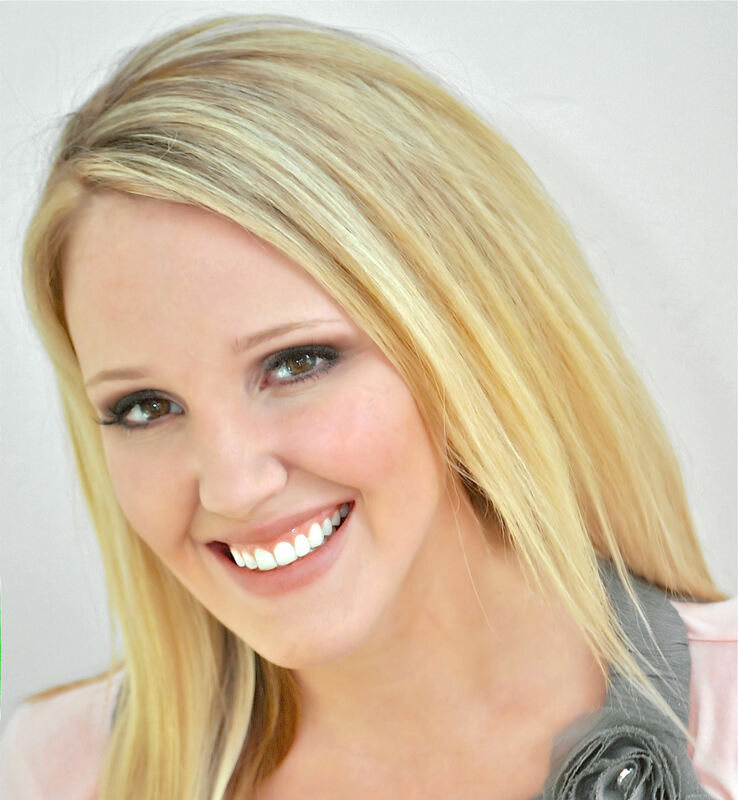 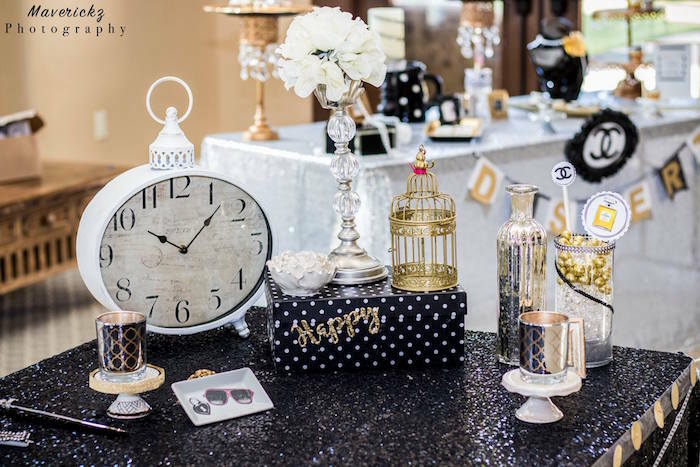 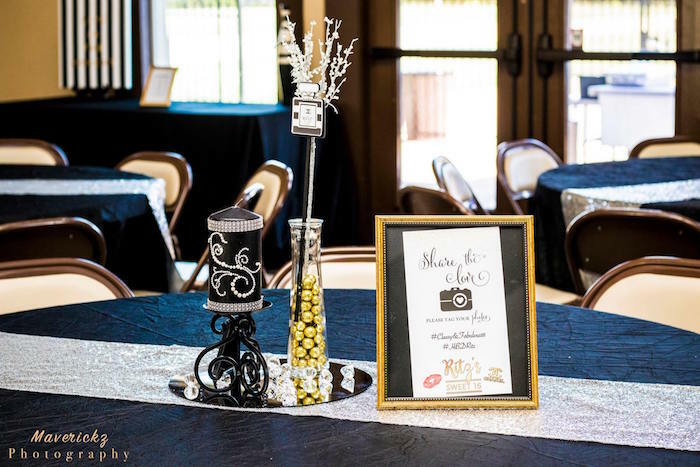 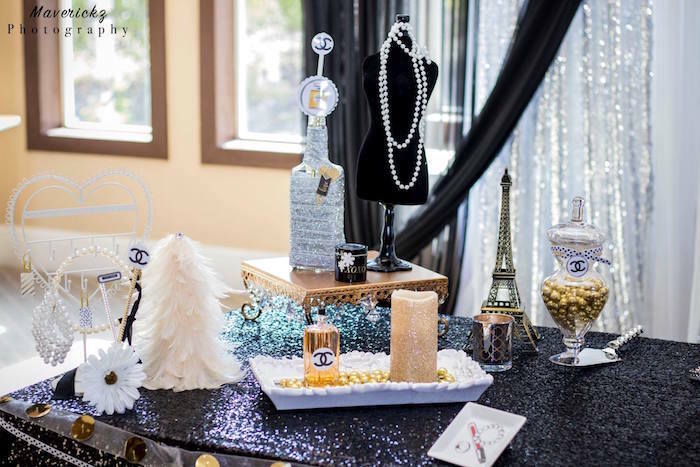 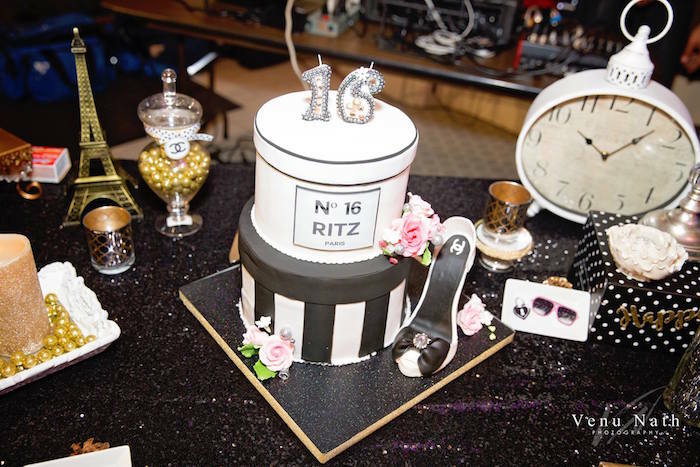 Filled with glitter and glam that shines, this sweet 16 birthday party is positively divine! 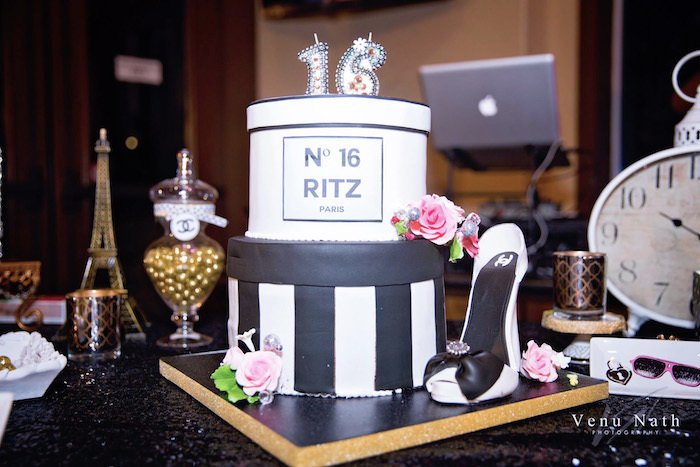 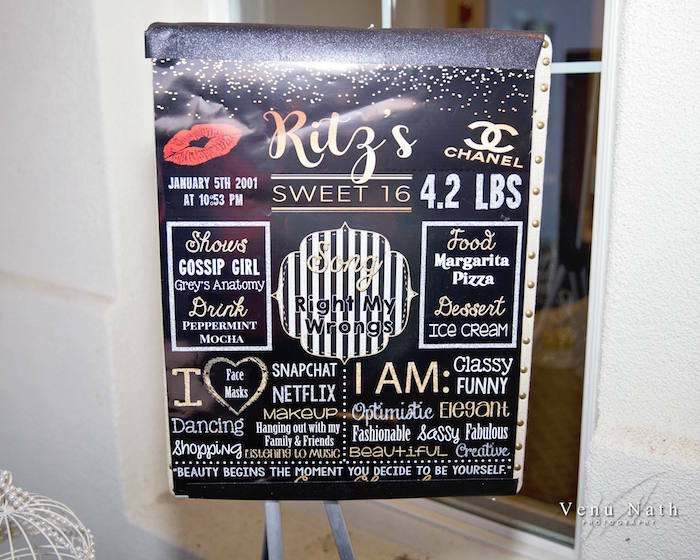 This is what was shared about the party- “We recently threw a CHANEL N°16 themed party for the classy and fabulous Ritz on her 16th birthday. 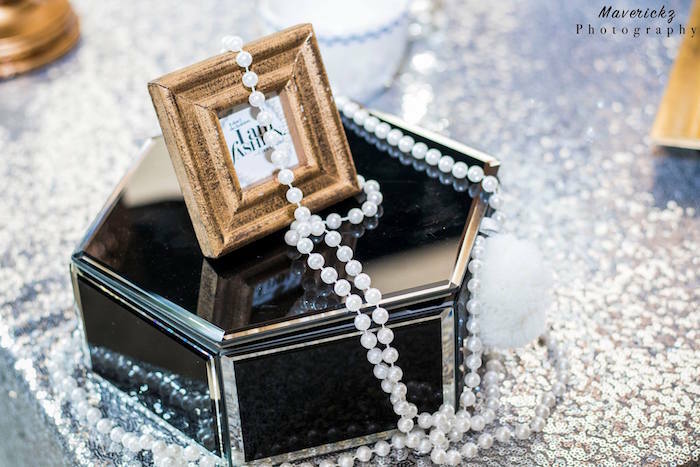 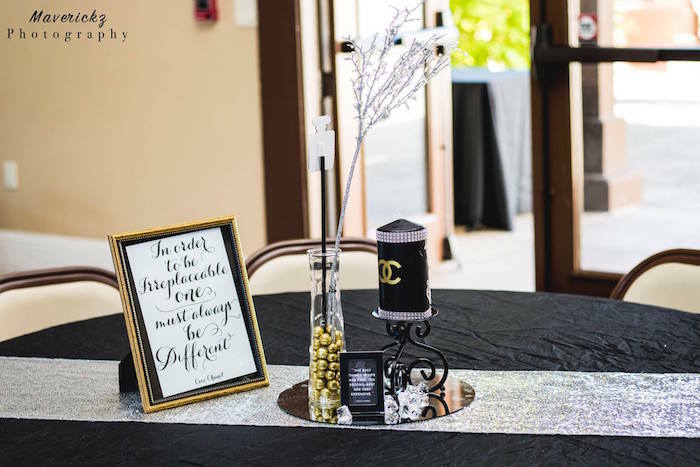 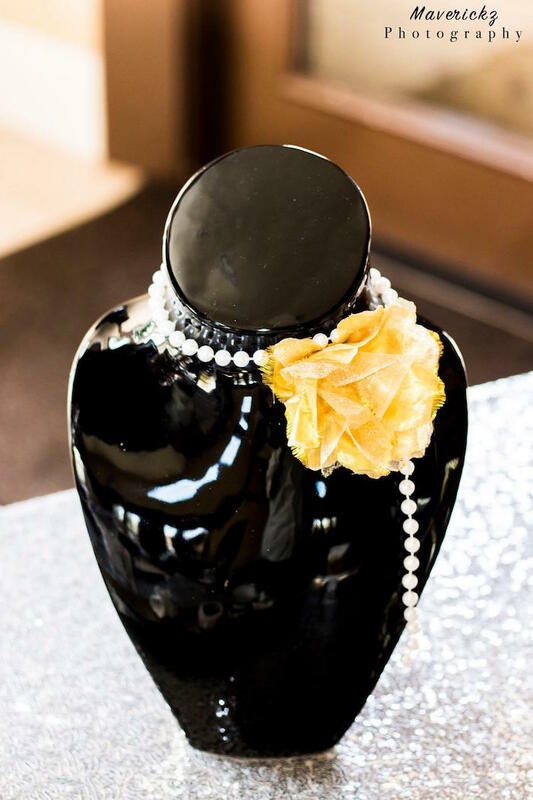 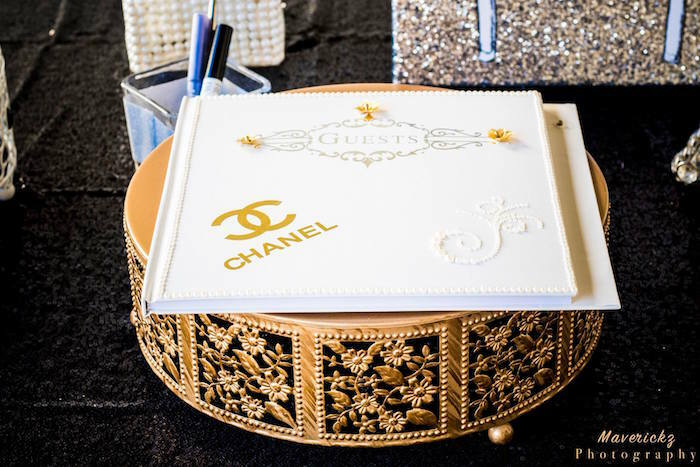 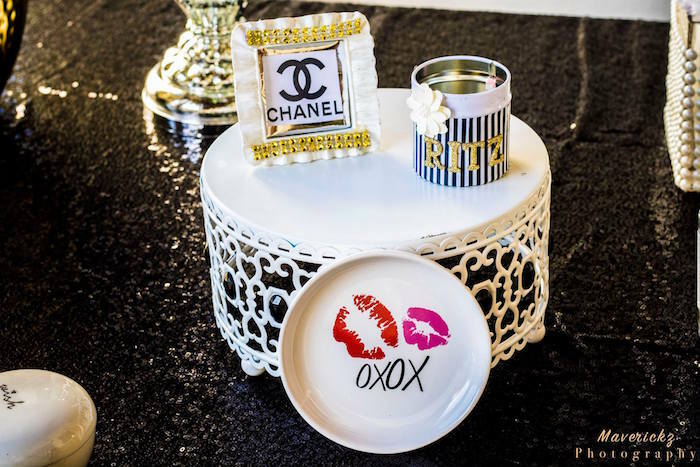 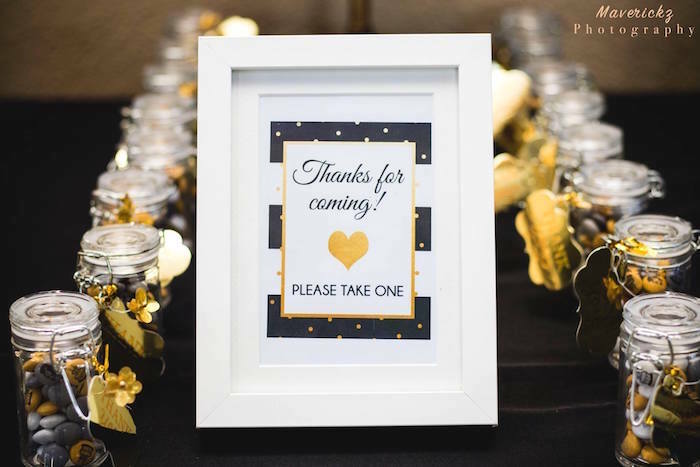 Inspired by the chic, couture and sophisticated style of Coco Chanels signature style of a black, white and gold colors, this creative style decor inspired details with ultra luxe, high style fashion,beauty and it looked perfect theme for her. 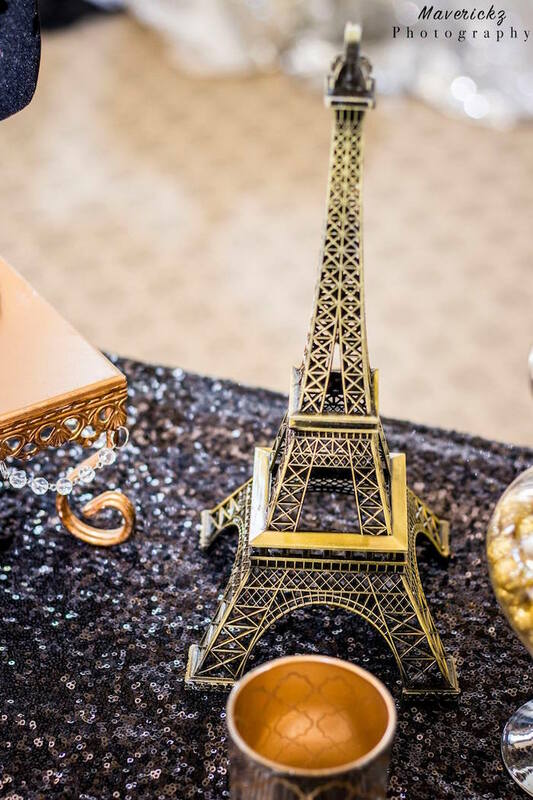 classy and fabulous. Bien joué! 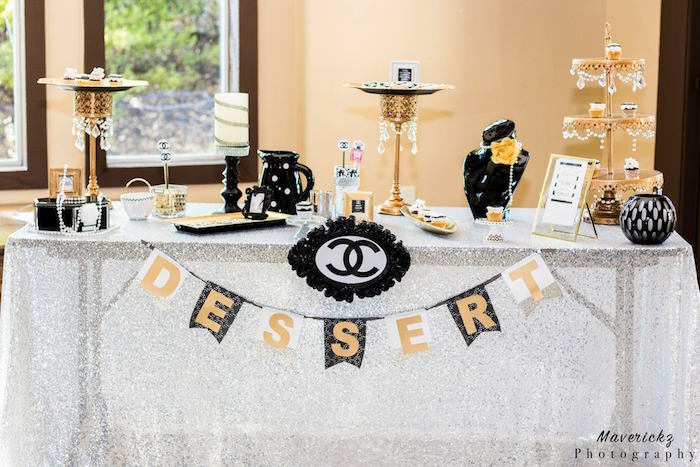 Table was draped in white Sequence linen and filled rich chocolate treats including: mini cupcakes and cookies! 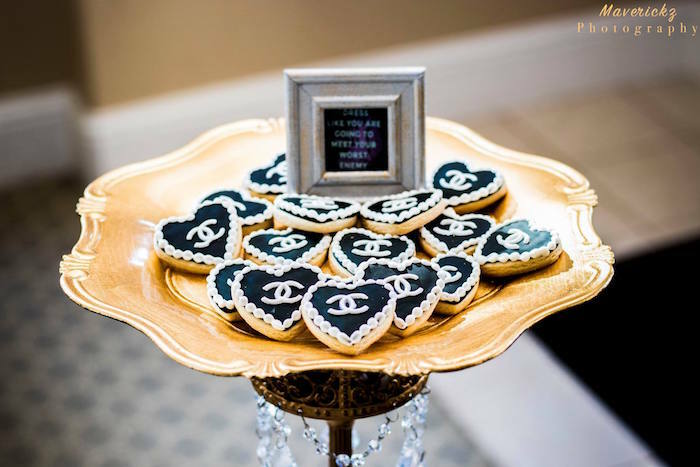 Those delicious cookies were created by Bake Me Something ! 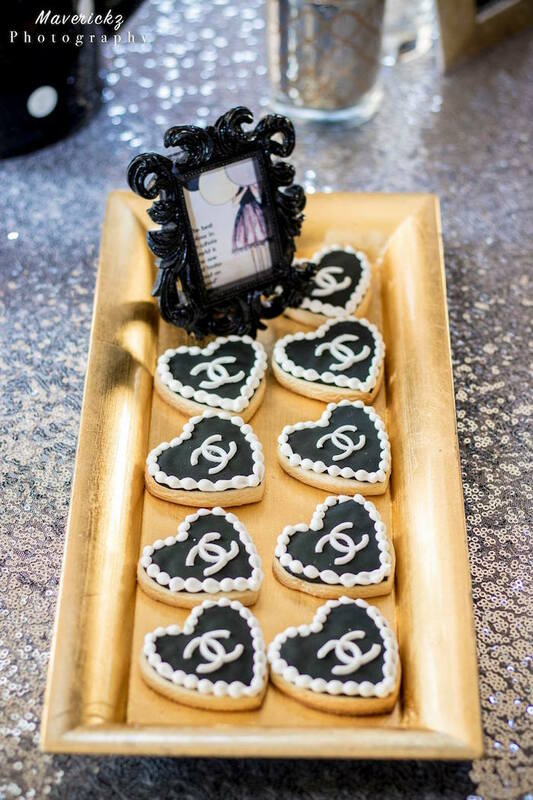 When I tell you, she did her thing on these cookies! 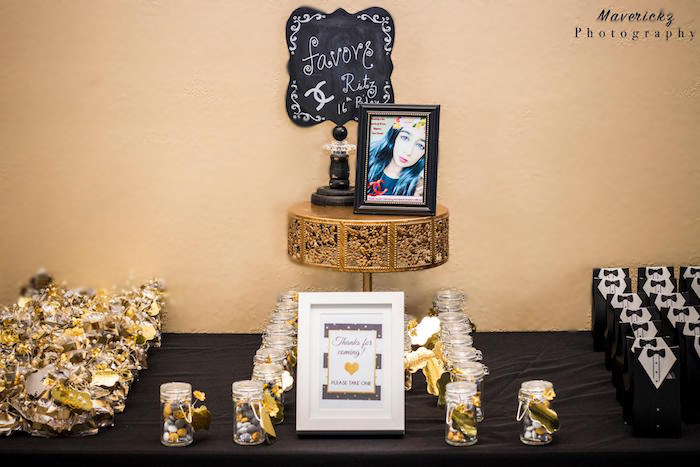 They were a hit like ALWAYS! 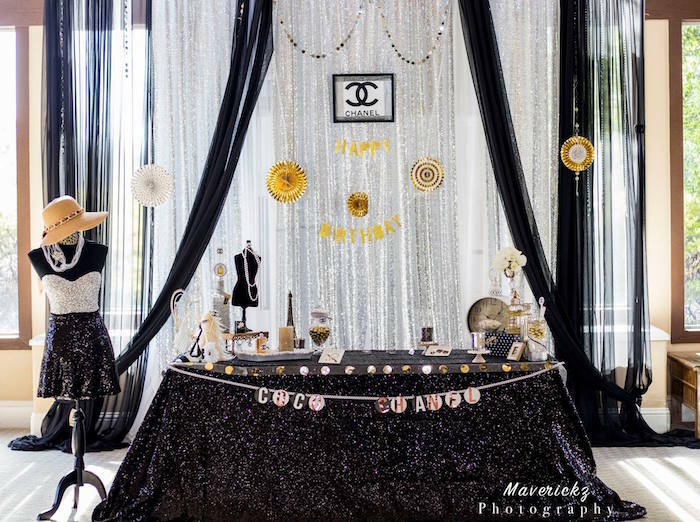 The back drop was a hit. 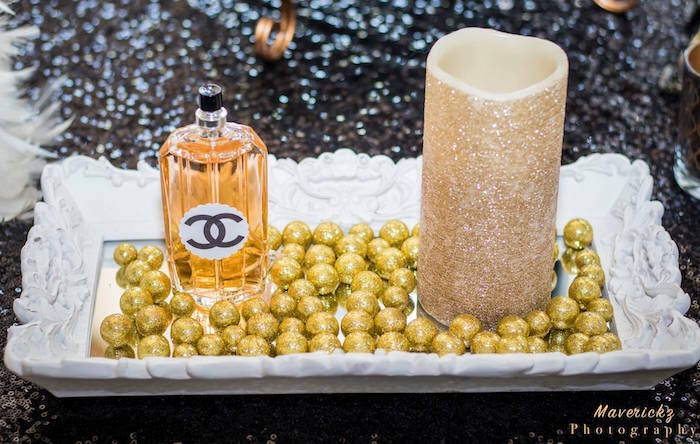 The table is pretty girly, and We added to it by adding the pearls. 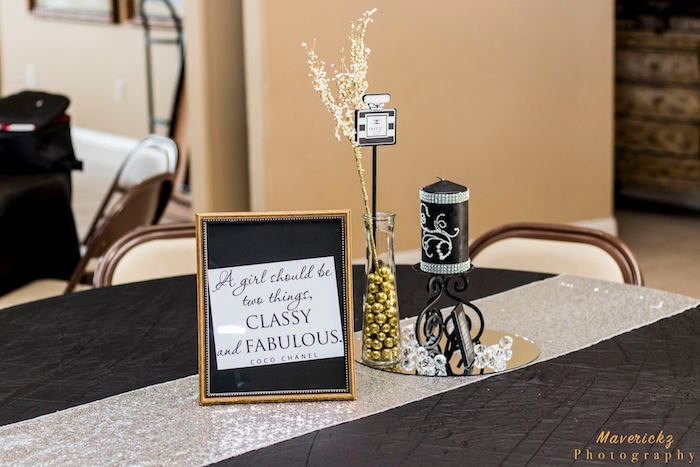 The table came out nice. 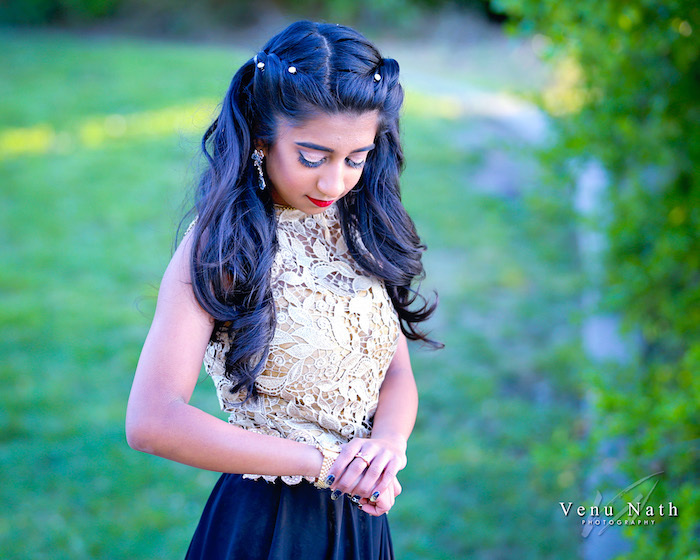 It was very girly with a bit of glam. 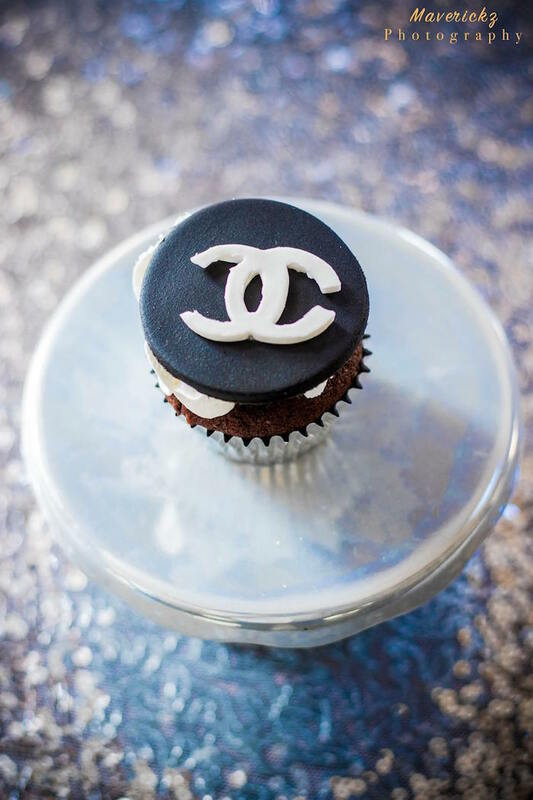 See all of our Chanel parties here!